Jerusalem travel – like an Israeli! Getting around Jerusalem is a snap once you get the hang of Egged buses. The Egged company runs the public bus network in Jerusalem and this is how most Israelis get around town. Busses are the cheapest way to travel around the city and a good way to meet some locals. People on busses here aren't exactly shy. Egged also offers the Route 99 bus line, which is a good way of exploring Jerusalem. You can take a two-hour tour, or get a one-day pass that lets you hop on and off at will. Find out more or book your tour here. 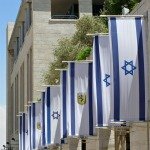 If you plan on using buses for getting around Jerusalem for a few days, you'll want to familiarize yourself with the bus routes available in the neighborhood where you are staying. There have been many changes in Egged bus routes in the last year, with more to come, so the free map of all the bus routes that used to be available at the Central Bus Station is not available at this time. The Central Bus Station has always been a landmark in Jerusalem, by the way, but the new station, located on Jaffa St, opposite a plaza from the International Convention Center (Binyanei Ha’Uma) is also a mall. Many - but not all - bus lines make a stop outside the Central Bus Station or Binyanei Ha'Uma. 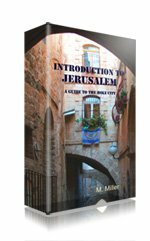 Once you know which buses will get you home or into the city center, getting around Jerusalem becomes a simple matter of asking someone near that bus stop which bus goes where. If you want to be a little more prepared than that, however, check your destination and all available routes on the Egged website. Use the "plan a trip" function there to get routes, timetables and find out how long the journey will take. 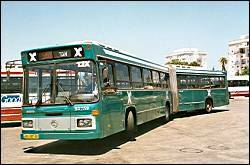 Intercity bus lines (those going to Tel Aviv, Eilat, etc.) leave from within the Central Bus Station itself – there are gates just like at airports. For intercity trips, it's best to buy your ticket in the station before boarding the bus, where you can also get a round trip ticket if you need it. If you only get to the station in the nick of time, though, skip the ticket counter. Just make a mad dash to the gate and board the bus - you can pay the driver. City lines for getting around Jerusalem itself leave from the marked bus stops on Jaffa St. in front of the station. On these lines, you pay the driver when you get on. Egged buses now use the same ticketing system as the Jerusalem light rail. At this time, you can still buy a single-ride ticket directly from bus drivers. To benefit from the discounts available when buying multi-ride tickets (10-ride tickets or monthly passes, for example) you'll have to get a Rav Kav card. To do this, go down to the Central Bus Station, to the ticket stand opposite gate 22 (Sunday to Thursday 7:00 to 20:00; Friday 7:00 to 13:00), or to the Rav Shefa Mall, 2d floor (Sunday to Thursday 7:00 to 21:00; Friday 7:00 to 13:00). You'll have to fill in a form, have your passport with you, and get your picture taken. You get your card within a few minutes. If you prefer, you can get an anonymous Rav Kav card, but you won't be able to get any discounts to which you might otherwise be entitled, such as for seniors or students. Once you have a Rav Kav, you can charge it at the Central Bus Station or at any of the light rail stations. Ten-ride pass. Short of walking, this is the cheapest way for an adult of getting around Jerusalem. Additional children under 5 must buy a ticket. If you buy ticket from the bus driver, you'll have to pay full fare. However, there is a 50% discount for children and senior multi-ride passes. 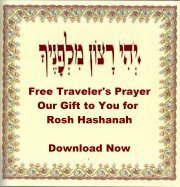 You can charge a child or senior Rav Kav with either 10 or 20 rides. Unlike children, seniors can still get the discount on one-ride tickets as well. During the week, buses run from early in the morning to between 11 pm and 12 pm on most routes. Fridays, buses stop early, an hour or two before the onset of the Sabbath. Buses do NOT run between Friday evening and Saturday night. To call Egged, the bus company – dial *2800 and then dial 3 for an English-speaking representative. You can use this number to check on schedules, bus lines, ticket fares, or find out the time of the last bus on a given line on Friday afternoons. Disabled passengers can also use this number to find out which buses on a line are wheelchair accessible.